RICHMOND – Governor Terry McAuliffe today announced that Virginia welcomed 413,000 overseas visitors in 2014*, a 17% increase over 2013. The marked rise is the largest percentage increase in the past five years, and the first time during those five years that the Commonwealth’s overseas visitation numbers have exceeded 400,000. In June, Governor McAuliffe announced that Virginia’s domestic tourism revenues for 2014 are expected to exceed $22.4 billion, a 4.1 percent increase over 2013. In 2014, tourism in Virginia supported an estimated 216,000 jobs, an increase of 1.5 percent in employment, and provided more than $1.5 billion in state and local revenue, an increase of 5.6 percent compared to 2013. The increase is largely attributed to Virginia’s authentic, local travel experiences and surging culinary scene. The continued growth of Virginia’s tourism industry is a major priority for Governor McAuliffe and his administration. Recent trade missions to Asia and Western Europe focused on tourism and economic development opportunities. Local events provided an opportunity to showcase the Commonwealth’s rich history, natural beauty, and abundant cultural resources, as well as Virginia’s central location for business and connectivity to global markets. Personalized, local and authentic travel experiences offered across the Commonwealth also contributed to the increase in visitation in 2014. International visitors enjoyed experiential travel activities: visiting 36 state parks and 28 miles of warm, sunny beaches; sipping wine at one of 250+ wineries; tasting oysters from one of Virginia’s seven oyster regions; listening to music along 300 miles of the Crooked Road Music Heritage Trail; traversing 90 miles of ATV trails; and cruising more than 3,000 miles of scenic roadways, taking travelers to coastal beauty, mountain vistas, quaint small towns, and peaceful countryside. These unique tourism businesses and products are also important economic drivers in the economy. 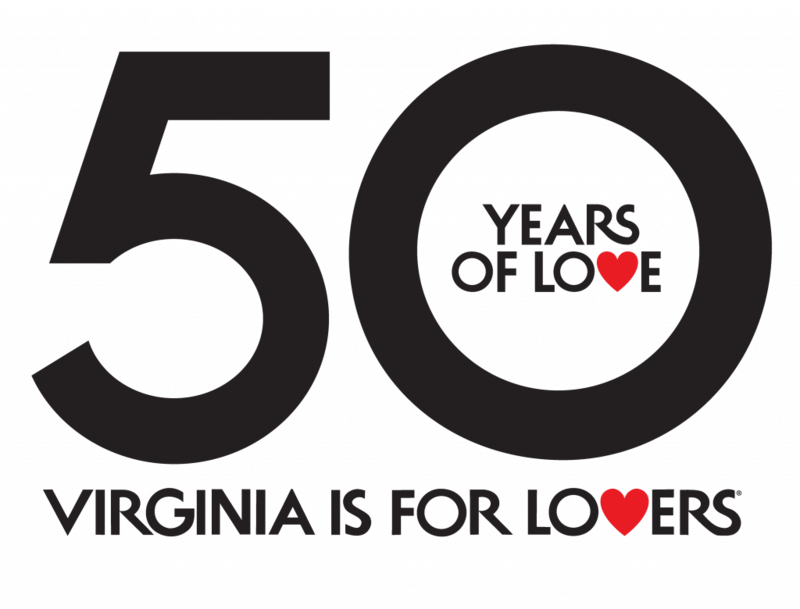 The Virginia Tourism Corporation is the state agency responsible for marketing Virginia to visitors and promoting the 46-year old Virginia is for Lovers brand. Virginia is for Lovers is the longest-running state tourism slogan in the country. Virginia is for Lovers stands for love, pure and simple, and promotes the state as the ideal destination for loved ones to completely connect on a great vacation. Virginia is for Lovers was named one of the top 10 tourism marketing campaigns of all time by Forbes and was inducted into the National Advertising Walk of Fame in 2009. *Data Source: 2014 based on Travel Market Insights U.S. Inbound Travel Monitor, prior years custom NTTO SIAT. The Virginia Tourism Corporation (virginia.org) receives its annual economic impact data from the U.S. Travel Association. Detailed economic impact data by locality is available on vatc.org under Research.